The Second Session of the 105th Nebraska Legislature ended April 18th, 2018. During the session, senators introduced 469 new bills and 236 new legislative resolutions this session. Disability Rights Nebraska identified 27 bills and resolutions to work on this legislative session. Of those 27, we testified at the public hearing (each bill receives a public hearing) and/or worked with senators to educate them on 9 bills; we wrote a support or oppose letter for each of the remaining 18. Disability Rights Nebraska supported 23 of those 27 bills and six of them passed Disability Rights Nebraska opposed only four bills this session and two of those passed, but we anticipated that. Disability Rights Nebraska worked with several senators on the language for four bills or resolutions this session. We met with Senator Walz to educate her on what abuses we discovered in state-licensed facilities (which gave rise to Legislative Bill 1093 and Legislative Resolution 296); we discussed how the existing Olmstead Committee could be strengthened (which led to Legislative Bill 800); and we met with Senator Briese multiple times over the session to discuss an appropriate definition of “disability” and policy language regarding custody discrimination in Legislative Bill 845. We also met with Senator Hansen’s office to discuss and provide suggestion for amending his Legislative Bill 1056. Increasingly, senators recognize us as a resource on disability issues/policy and are utilizing our expertise when proposing or considering disability legislation. Disability Rights Nebraska also worked with allies and other disability advocates to bring about legislative policy change for persons with disabilities in Nebraska. Disability Rights Nebraska worked alongside the Arc of Nebraska and Easter Seals of Nebraska over the session to educate Senator Crawford and her staff about the existing Medicaid insurance for Workers with Disabilities program and why this program is in desperate need of structural reform in order to meet its purpose: helping people with disabilities who are Medicaid beneficiaries go back to work without losing their Medicaid benefit. Our discussions lead to the introduction of Legislative Resolution 448 by Senator Crawford. 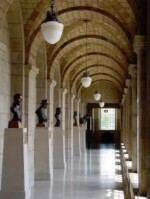 This summer, there are many upcoming interim study resolutions that will affect Nebraskans with disabilities and Disability Rights Nebraska is looking forward to bringing our unique experience and expertise to those discussions to educate our state policymakers on these important disability-related issues. Take a moment to look through the interim study resolutions list and see if there is one that you could speak to; the legislature is a public entity and legislative hearings are public hearings. Policymakers want to hear from people with disabilities about disability policy/legislation. The stories that individuals bring to the table are very powerful; they can really help focus the discussion, clarify the issue, and influence effective policy options. If you cannot or do not want to provide input, how can you help someone who can and does? The 106th Legislature, First Session, is scheduled to convene on Jan. 9, 2019. This week's blog post was written by Bradley A. Meurrens, MPA, Public Policy Director for Disability Rights Nebraska.